The Rise team at the awards ceremony. 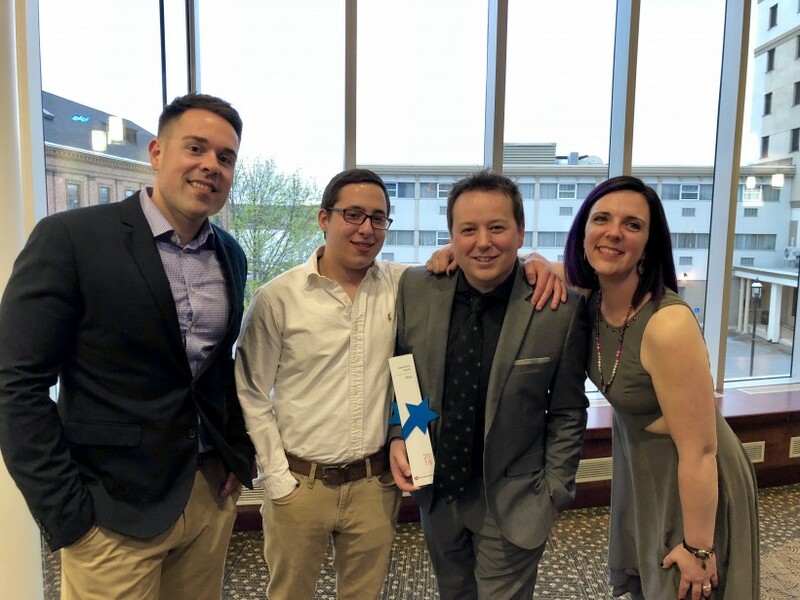 Fredericton-based company, Rise, was recognized at the Energy Efficiency Excellence Awards on Wednesday night for its web platform that helps people build energy efficient homes. Rise received the Innovation Award at the dinner presented by New Brunswick Power. Six New Brunswick groups were honoured at the ceremony that celebrates the province’s innovation and leadership in energy efficiency. “Sustainable education is one of the toughest roadblocks for homeowners and home professionals here in New Brunswick,” said Rise CEO and Founder, Matt Daigle. Last year, through a partnership with 3D design software company Sketchup, Rise held a North America-wide competition for tiny home designs to promote its sustainability assessment initiative. The company also works with different utility rebate programs through its platform. Since January, over 100,000 users have sourced information from Rise for home renovation projects or new builds. Daigle hopes to reach over a million homeowners by the end of 2018. The Gaia Project for the Education Award.